Eve. First woman. First to be tempted. First to sin. But what if there were more to her story than that? Forever Loved: Eve’s Story is the story of Father and daughter, as told by Eve. It is a story of preciousness and beauty, of tender love and grace. Through Eve, God reveals his Father heart of love for you, his treasured daughter. He whispers to you now, and calls you closer. My Story: The author’s personal story of encountering God as Father. 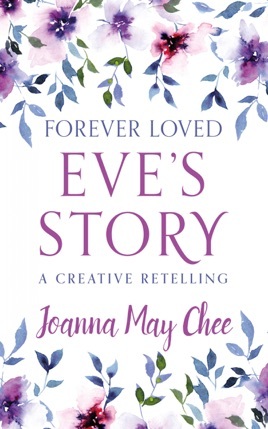 Eve's Story: A beautifully creative retelling of the Bible story of Eve. Your Story: Encouragement and prayers to take you deeper into God’s presence. Experience Eve’s story anew. Discover just how loved you are!